fast hair growth | Relaxed. Transitioning. Natural. Beautiful. Fact or Fiction … Can a hair serum grow your hair 2″ in ONE week? Extract 7 oz. of aloe vera gel from an aloe vera plant and place it into a blender (or bowl). I opted to use store-bought aloe vera gel by Fruit of the Earth instead of fresh aloe vera gel so that I wouldn’t have to store this hair serum in the fridge. Otherwise, the serum will have to be refrigerated in between uses. Add 3 TBSP of Jamaican Black Castor Oil (JBCO). I used “extra strength” organic JBCO from Simply Organic. Add 1 tsp of vitamin e oil. I used Sundown Naturals vitamin e oil. Combine ingredients in a blender and mix until smooth. Or, you can just add the ingredients to a small or medium bowl, like a did, and use a hand mixer. Transfer contents to an 8 oz. applicator bottle. DAY #1: Start out on freshly washed (e.g., shampooed, conditioned, deep conditioned, etc. ), detangled, damp hair. Shake mixture prior to use (if necessary). I didn’t have to do this because my hand mixer did such a good job of combining all of the ingredients. Next, part hair and apply mixture directly to your scalp.Or, you can just randomly apply the concoction all over your mane. When done, massage your scalp for 5 minutes. Comb mixture through hair. (I finger combed!) Then, style your hair as desired. DAY #2 – #7: Co-wash mixture from prior day out of your hair. Once hair is clean, apply serum all over scalp and hair, repeating the process for each subsequent day as before (on day #1). I first started using bamboo extract two months ago. I had mixed one-month results. I bought two bottles. Each bottle contains 60 vegetarian capsules and will last 2 months since you only need to take one pill a day. Given that I purchased both bottles for less than $20, this supplement provides pretty good bang for your buck. After taking this supplement for 8 weeks, my nail health has made a complete 180 turnaround. My weak, brittle nails normally break daily. 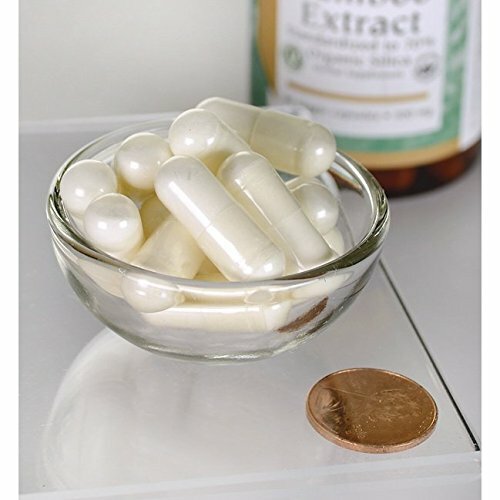 This bamboo extract seemed to strengthen and lengthen them from the inside out. After only 2 weeks, my nail growth expedited exponentially. In a month’s time, the extract had lengthened my nails to the point of becoming an annoyance (needing to be cut much more frequently than before). After 2 months, I’ve noticed that the condition of my nails have improved drastically. My nails have not just become LONGER but have now become STRONGER as well. While my hair’s thickness and volume have increased, I have had zero to staggering results. This is likely due to the fact that I have 3 different textures on my head! Watch the following video for a quick summary of my experience after taking bamboo extract for two months. 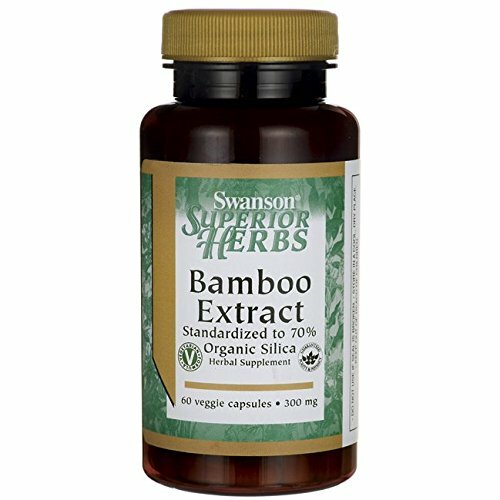 Bamboo extract contains 10x the amount of silica as horsetail grass. This is good news for those of us who are (ahem) no longer twenty-somethings as silica levels naturally decline as we age. As a result, supplementing with quality, natural silica like that found in bamboo extract can help to support and improve one’s hair, skin, and nail health. I’ve heard so much about bamboo extract in the last couple of years, that I finally decided to take the plunge. I was so excited that I purchased two bottles in the hopes that in a month or two, I’d have long, luxurious hair. Hey, it could happen! Don’t crush this naturalista’s “long hair don’t care” dream! Well, since nothing beats a failure but a try, I decided to give bamboo extract a go. Although the bamboo extract pill is on the larger side, because it comes in the form of a gel cap, it’s very easy to swallow. After taking this supplement for a month (29 days), I didn’t experience any skin improvements. However, I eat clean, drink plenty of water, exercise six (sometimes seven) days a week, and already have pretty decent skin. I did see a marked improvement in the condition of my weak, brittle nails, though. My nails are so fragile that they tend to break just by looking at them! But, after only a week or two, my nails started to grow scarily fast. So much so that I trimmed them twice in one week! Even when I accidentally caught my left thumb nail in the zipper of a beloved jacket, resulting in being forced to cut the nail down to the nub, 50% of the nail grew back to it’s original length in only 4 days. It would have normally taken almost two weeks for that to happen with my super thin nails! After a month of taking bamboo extract, my nails are stronger, longer, and much more resilient.